The Iowa Broadcast News Association has designated the fifth of six TV and radio best newscast and best sportscast dates for the 2018 IBNA awards contest. The contest date for TV stations is November 14, 2018. This means that television newscasts and sportscasts which aired on Tuesday (November 13) are eligible to enter their work in those categories of the IBNA’s annual awards competition. The contest date for radio stations is November 14. This means that radio newscasts and sportscasts which air today (November 14) are eligible to enter their work in those categories of the IBNA’s annual awards competition. The Iowa Broadcast News Association has designated the fourth of six TV and radio best newscast and best sportscast dates for the 2018 IBNA awards contest. The contest date for TV stations is October 24, 2018. This means that television newscasts and sportscasts which aired on Wednesday (October 24) are eligible to enter their work in those categories of the IBNA’s annual awards competition. The contest date for radio stations is October 25. This means that radio newscasts and sportscasts which air today (October 25) are eligible to enter their work in those categories of the IBNA’s annual awards competition. Entries will be submitted in January 2019. Until then stations should retain a digital file of the audio/video as well as a rundown of stories and sources (wire, beat, enterprise, and network). 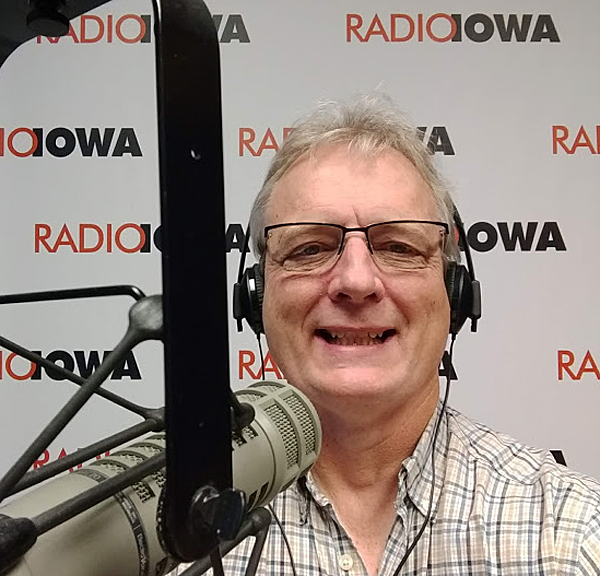 The IBNA Board of Directors is pleased to announce the hiring of Dar Danielson as the Interim Executive Director of the Iowa Broadcast News Association. Dar Danielson is a native of northeast Iowa who graduated from Janesville High School and the University of Northern Iowa. 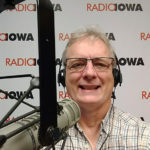 Danielson works for the Learfield Communications News Division as an anchor/reporter for Radio Iowa at their offices in Des Moines. He has held that position for more than 20 years. Danielson is also the Managing Editor of the Learfield Wire, which provides news and sports feed for five states. In his time outside of Radio Iowa, Dar is the lead play-by-play voice of the Central Iowa Sports Network. CISN streams sports online, including girls’ high school tournament games for basketball, softball, soccer and volleyball; high school football, baseball, and Des Moines Menace soccer. Dar Danielson has won numerous state and national awards for his work in news and sports. Dar has been a long-time member of the Iowa Broadcast News Association, serving many years on the IBNA board. He has served two terms as the organization’s president and recently went off the board after serving last year as past president. Dar will serve as interim executive director while the board discusses the future of the position. The Iowa Broadcast News Association has designated the third of six sets of TV and radio best newscast and best sportscast dates for the 2018 IBNA awards contest. The contest date for TV stations is Sept. 26. This means that television newscasts and sportscasts which aired on Wednesday (Sept. 26) eligible to enter their work in those categories of the IBNA’s annual awards competition. The contest date for radio stations is Sept. 27. This means that television newscasts and sportscasts which air today (Sept. 27) are eligible to enter their work in those categories of the IBNA’s annual awards competition. The Iowa Broadcast News Association has designated the second of six TV and radio best newscast and best sportscast dates for the 2018 IBNA awards contest. The contest date for TV stations is August 14. This means that television newscasts and sportscasts which aired on Tuesday (August 14) are eligible to enter their work in those categories of the IBNA’s annual awards competition. The contest date for radio stations is August 15. This means that television newscasts and sportscasts which air today (August 15) are eligible to enter their work in those categories of the IBNA’s annual awards competition. The Iowa Broadcast News Association has designated the first of six TV and radio best newscast and best sportscast dates for the 2018 IBNA awards contest. The contest date for TV stations is July 19. This means that television newscasts and sportscasts which aired on Thursday (July 19) are eligible to enter their work in those categories of the IBNA’s annual awards competition. The contest date for radio stations is July 20. This means that television newscasts and sportscasts which air today (July 20) are eligible to enter their work in those categories of the IBNA’s annual awards competition. First of all, I want to thank you for your patience. We know that you’ve been wondering about our search for a new Executive Director as well as the status of this year’s awards contest. The Iowa Broadcast News Association Board of Directors is proud to announce the hiring of Anne-Marie Taylor of Iowa City as its new Executive Director. Following interviews with the executive committee and the full board, members met in Des Moines on January 13th and voted unanimously to approve her hiring. Anne-Marie brings 25 years of experience working with nonprofit associations and political groups to the position. She also has experience in fundraising and a law degree. Most importantly, Anne-Marie has experience and an interest in journalism and working with journalists. She served was the founding development director for Investigate West, a nonprofit news organization in Seattle. Anne-Marie has also served as a fundraising consultant for Iowa Watch. Her interest in journalism also comes in part from her husband Daniel Lathrop. He is a former reporter who is currently a Journalism and Mass Communication professor at the University of Iowa. The IBNA board is excited to have Anne-Marie join our organization, and we believe you as members will feel the same way. Anne-Marie has hit the ground running and is working with the board to get the annual contest information out, and on our plans for the annual convention. We will be telling you more about Anne-Marie soon and how you can meet her.